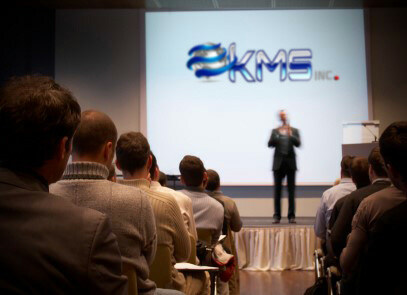 KMS provides a full range of professional and organizational development courses and programs. Download our softskills catalog to find the courses most appropriate for your training needs. Trainers/Educators: Our “feet in the classroom” team is comprised of an excellent cache of professional educators with a broad base of experiences. From senior retired military personnel with extensive training backgrounds to successful civilian business people with a strong desire to share their knowledge, we provide the right fit between instructor, curriculum, and audience. Whether it is a soft skills class, complex technical training, or a course developed and delivered to address a client’s specific needs, we have the educator and trainer talent pool guaranteed to provide exceptional results every time. KMS, Information to Knowledge at the Speed of Thought. The KMS training curriculum development, design, and implementation teams are some of the most capable in the market. We bring a wealth of experience to your door whether you need low tech soft skills training delivered in a classroom or workspace environment or a high-tech interactive multimedia instruction to include avatars, we can make it happen. Off the shelf or custom designed, the breadth of our experience ensures your education and training needs will be exceeded. Converting information into YOUR knowledge at the speed of thought is our mission.